Tenants in Frenz’ properties have been without heat all season: you can help. Update (11/20): Inquilinxs Unidxs will soon be overflowing in space heaters thanks to support from the community, Neighbors for More Neighbors volunteers, and a big donation from Amore Uptown of 85 space heaters, scheduled to arrive over the next week.If you’re still looking to IX, be sure to contribute to their court fee and general fund. 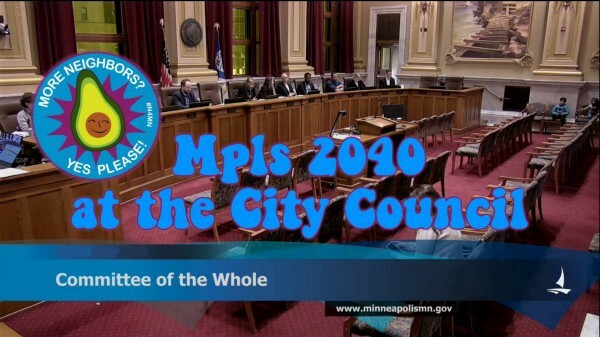 Thank you for your hard work on the Minneapolis Comprehensive Plan. As you may know, the final public hearing was on Wednesday, and lasted well into the night. Neighbors for More Neighbors volunteers were out in force, and provided a clear and consistent voice on the issues we are all facing as a city, region, and planet. While advocating for more neighbors, it’s equally important to keep our existing neighbors in their homes. Inquilinxs Unidxs is calling for donations of space heaters. Tenants in Stephen Frenz’ buildings have not had heat since the beginning of the season, and are still waiting for money from the lawsuit settlement, and for new owners to take up management of their buildings. You can drop off a spare (working!) heater the IX office, or purchase one for delivery. N4MN will be donating at least 15 heaters, but IX will need as many as 100. We’re asking our supporters to help out and donate if they can. Bring a used (and working) space heater to the IX office at 3715 Chicago Avenue. Buy a heater online from Target, or any other online retailer that delivers, and ship to 3715 Chicago Avenue. On the Comp Plan front, the next step will be the Committee of the Whole meeting on Monday, Nov. 26th, which will have no public hearing, but city council will discuss city council amendments to the plan. You still have time to contact your council members about specific policy ideas that you’d like to see addressed. After this, the whole council will make the final vote on the plan in December. As a guideline for policy in the coming years, the Comp Plan approval doesn’t mean the work is done. There will be much to accomplish on housing issues, in order to make major progress in dismantling inequity in land use and infrastructure. We will also need to hold the city accountable on the goals it sets forth in the coming years.